The SR26 form is filed whenever the SR22 certificate is no longer needed or the insurance policy has been canceled. The SR22 certificate is the way your current insurance company notifies the local DMV that you have the minimum required form of coverage. When it is no longer needed, the insurer will file a SR26 form with the DMV. Should the proof of financial responsibility still be required, the filing of the SR26 will lead to the revocation of your driving privileges in a matter of days. you have had a series of serious traffic violations in a short period of time. Depending on the seriousness of the offense, the court of law will rule a SR22 filing period of time. 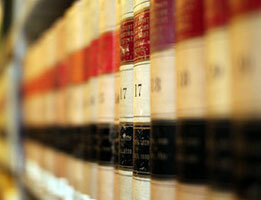 The usual term is of two or three years, but some states can require up to seven years of filing. you have failed to renew your SR22 insurance after the grace period is over. If a SR26 is filed and you still has a SR22 requirement, you will have to start all-over again with the SR22 filing if you want to be allowed to drive. Some states will even reset the filing period – in other words, if you have had a three year filing period and canceled your policy after two and a half years, you will get another three years of SR22 when you request it again. Some states will eliminate the SR22 requirement when you move out. However, if you fail to notify your current insurer on your intent to move, they will file a SR26 once your insurance lapses and you will have trouble getting a driver's license if you decide to move back. To avoid this situation, you should file a request to have your SR22 waived before moving out. The SR22 requirement isn't something to be happy with, yet it's not the end of the world. It will put a heavy impact on your budget – the insurance cost will go through the roof – but, the sooner the filing period is over, the better. Don't cancel your policy, don't let it lapse and only have your insurer file the SR26 when the legal requirement is over. Compare SR22 Insurance Quotes Online NOW!